This album marks the second release by Carl Borden for the Real Music label and it is a real treat for listeners who are seeking a peaceful, contemplative album to offer them a momentary respite from the “noise” that we seem to encounter each day when we step out of our doors to go off and to earn our living or whatever else that requires us to leave the sanctuaries that we all call home. All the songs on Breathe were written, produced, mixed and mastered by Carl save Breathe and Beautiful Memories which also had Keimy Sakamoto lending a hand as the Assistant Mastering Engineer. Breathe gives you an exquisite atmospheric journey of almost 58 minutes during which you can soak in the healing energy of Carl’s compositions and let go of whatever it was that disturbed your heart/mind during the day just ended. The music on Carl’s album definitely qualifies as ambient in nature as it moves almost seamlessly from track to track while maintaining a gentle and serene overall feeling to the listener’s journey through the soundscapes that he has created here. 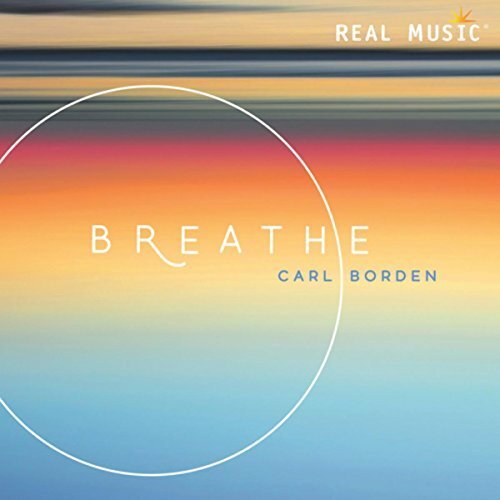 There are no sudden musical or tempo oriented shifts in the music that comprises Breathe but rather Carl has created music with one thing in mind and that is allowing the listener to “take a step back, and breathe” when life throws a curve ball in our direction and we need to slow down, focus and regain control of our emotions before trying to deal with whatever has caused the disruption to begin with. It is obvious that Carl knew what he wanted to achieve with this project because each song is crafted very skillfully to be a part of the whole rather than to be separated and played as standalone tracks. Not that you couldn’t find one of the tracks more appealing than the others but for the maximum effect it is best to listen to albums such as this in sequence so that you receive the benefits that Carl intended when the album was recorded and the tracks placed in a particular order. Carl also used the sound effects of water, rain and waves on many of these compositions to enhance the calming atmosphere created by his synths but never to excess and never to overshadow the movement of the music. The music on Breathe is subtle and creates a comfortable place for the listener to spend close to an hour contemplating and relaxing after a long day or simply to end a day at home on a peaceful note. Oftentimes we do not always realize the immense benefits of music that helps us to disconnect from those things we have to deal with in the “outside” world and to be able to enjoy our private lives without fragments of stress and concern worming their way into our minds even when we are done dealing with them for the day. Carl’s music is reassuring and comforting to the listener and allows the listener to center themselves and bring some clarity to the events of the day and to let them go for the night. The album consists of 9 tracks with each composition leading the listener into a deeper state of relaxation until by the end of the album the listener can take that deep breath and know that they truly have left behind everything that had clung to them from the world beyond their doors. Carl’s music appears to be very much synth based but never becomes drone like (nothing wrong with drone music) in that Carl being a talented musician shapes and directs the music so that the listener never loses interest in where the music is taking them. As the flow of the album was created not so much around a track by track basis but more on the album as a whole I don’t really have songs that I can pull out of the album and say that this one is my favorite or that one deserves more listens than any of the other tracks. I will make a slight note here about Morning Journey Part Two which is track number seven on this album and features the only other element that you will hear on this release which even though it sounds like a voice drifting in the background toward the end of the track it in actuality is created through a program called Vocalise by Heavyocity. The voice blends into the music so wonderfully that it is simply an extension of the synths that have created this musical landscape. An album like this is best judged as single effort broken down into 9 pieces each of which continues the movement forward until a satisfying conclusion is reached by the time listeners reach the last song. It is self-evident that Carl is a skillful musician and is able to take his work from beginning to end and offer the listener a cohesive album dedicated to giving the listener a quiet place in which to decompress after a hard day. The album offers up a delicate beauty in its music which was well designed by Carl which shines forth in the work that was done on this project leading up to it being released in the form that was sent to this reviewer. Carl was able to translate his inner vision for this music into compositions that will find homes in the hearts of those listeners who decide to give his music a chance and bring it home for themselves. This album is a great second release by Carl Borden and certainly an album that would be a good addition to any ambient music library. Recommended by Ambient Visions.